For the past few months we’ve been crawling at snails pace up the coast, stopping to surf at any beach with a hint of a ride able wave. It is kind of getting to that point now that there’s just beach after beach, I’m starting to lose track of where I’ve been and when, sometimes it all just seems the same! Don’t get me wrong I’m not complaining! I’ve come across some of the most beautiful beaches I’ve ever seen! But I suppose the East Coast just lacks a bit of variation, when you’re moving up it so slowly that is. After Coffs Harbour we stopped off at every beach in our path looking for waves. 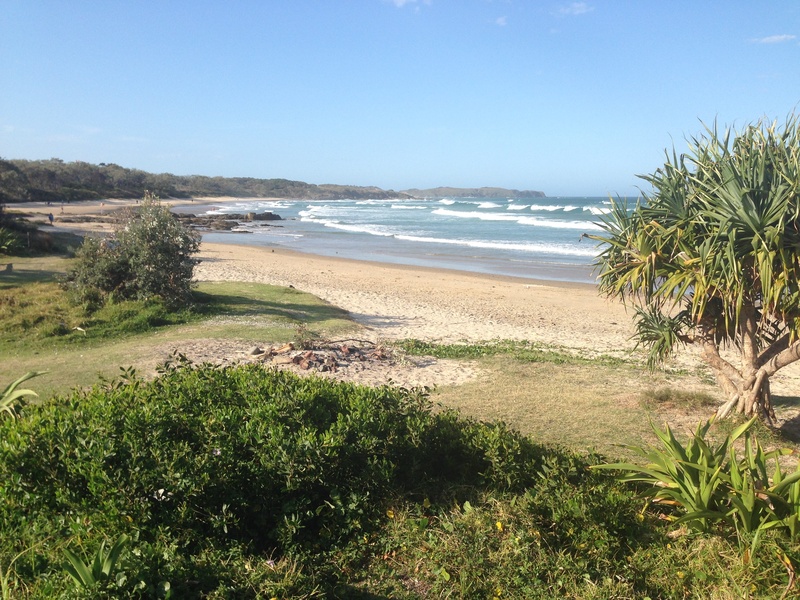 Moonee, Emerald and Sandy Beach, all nice places but not much to do other than go to the beach. When we reached Woolgoolga the town seemed to have a bit more to it. It has a large Sihk community, which meant lots of Indian restaurants and smiley, friendly, turban wearing people. We slept right next to a holiday park in a day use area that said ‘no camping’. But there were a few other campers there who looked like they’d been around for a few days, so we took our chances. That night just as the sun was going down we heard a lot of flapping and commotion above our heads. I looked up expecting to see a load of birds but instead, was surprised to see literally hundreds of fruit bats flying through the trees and hanging from the branches. They were massive! 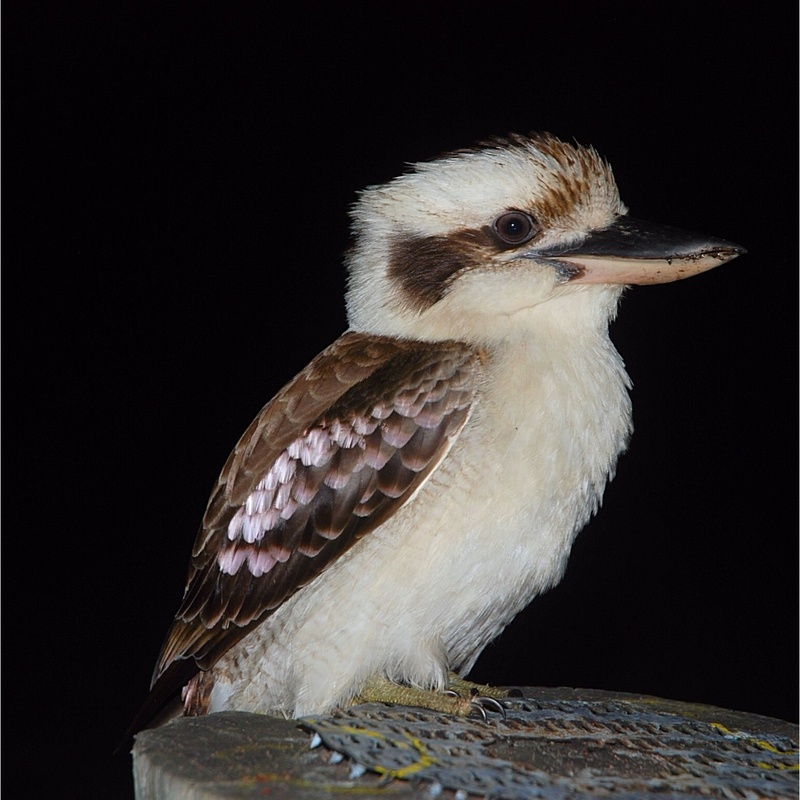 Then after dinner we had an inquisitive kookaburra hanging around. We were able to sneak up close enough to get some good photos of it. A blog about living and travelling. I spent 2 years travelling around New Zealand with my boyfriend Chris, and now we're doing the same thing in Australia. This blog is about our experiences. It's probably a bit here, there and everywhere, but then that's what backpacking's all about.